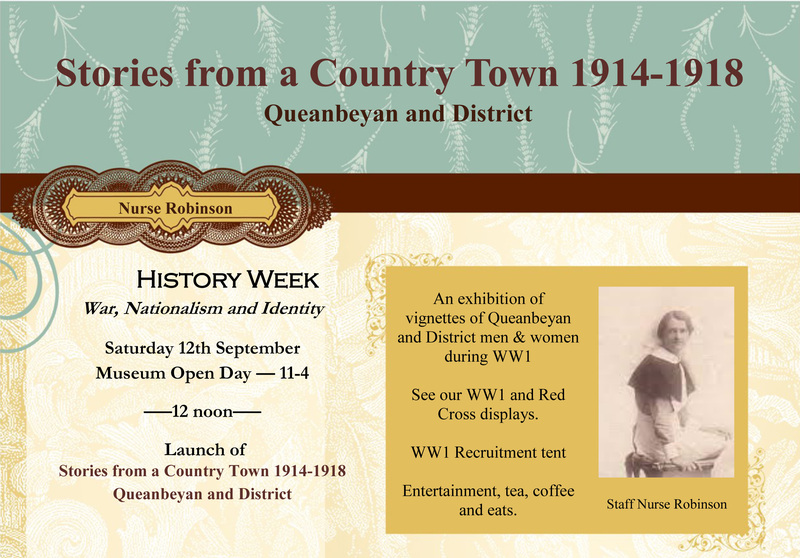 It’s Queanbeyan History Week 2015! The Theme for History Week in 2015 is War Nationalism and Identity in line with the Centenary of ANZAC. History and Heritage Meeting 5.30 QCC Library Thursday 10th September. Guest Speaker Boni Maywald: Peace Knits Pop Up. Printing Museum Open Day – Saturday 12th September from 2pm. + Queanbeyan Museum Open Day Saturday 12th September 11-4 See a WW1 Recruitment Tent, our Red Cross and WW1 exhibits, entertainment eats and drinks.